... you might appreciate this passionate plea that we put together for The Washington Times. 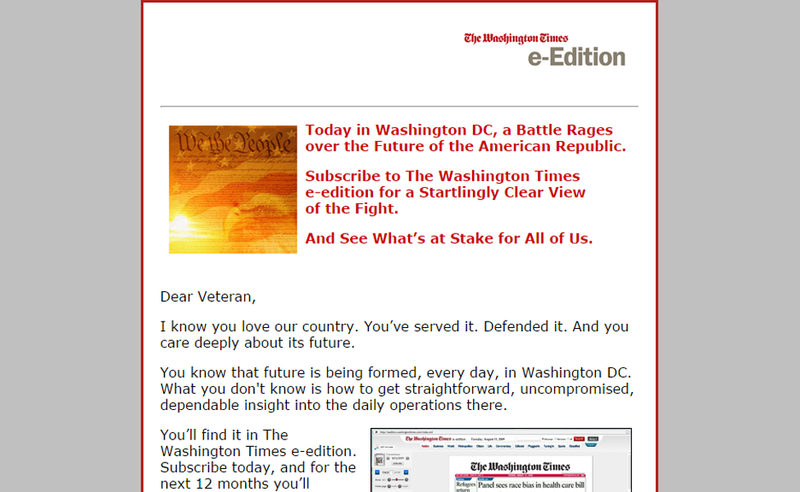 Some of your audience may see themselves as “separate from the crowd.” If so, they’d be similar to some U.S. military veterans who want the insiders’ view of daily news in Washington, DC with plenty of military coverage in the mix. The e-Edition of The Washington Times delivers exactly that. We developed this email to walk these very particular prospects through the special features they can look forward to in every issue.